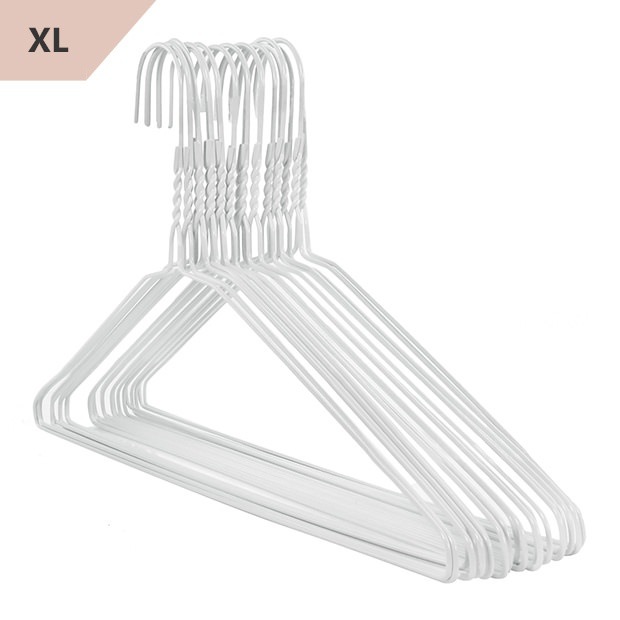 Excellent value all purpose hanger. 14.5 gauge steel - tough coated white finish. Smooth finish with a rounded smooth hook end. A multi-purpose hanger for domestic or commercial use. Economical hanger for use with suits, shirts, blouses, trousers, skirts, dresses etc. Size: Width 46cm (18") approx.